Why Should I Try Body Weight Exercises? There are many benefits that you’ll see when you break your normal weight training routine and take some time to also utilize body weight training. Body weight training gives your joints time to de-stress and also gives your mind a different focus. Several times each year, you should make the switch and stop using weights for two to three weeks and only use your body as a replacement. Is Body Weight Training Too Easy? 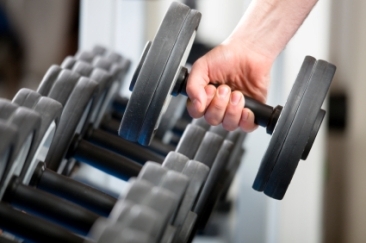 To make the body weight workouts more difficult, you can decrease the time in between sets. Try resting only 30-45 seconds between sets if you can. When your just starting out it may be difficult but we always like to say that this is a marathon and not a sprint so do your best and if you need to take a little longer when you’re just starting out then that’s perfectly fine. You’ll quickly find that these workouts will become just as difficult as the ones that you typically do with barbells or dumbbells. You’ll sweat, burn a lot of calories, and get an awesome pump. One import key is to try to make my body weight workouts difficult. You can’t expect to get anywhere if you do five push-ups and quit. Challenge yourself and try to improve every day. Check out the video below for some body weight exercises that can get you started and let us know which ones are your favorite. Many studies of Midwest Training Center have shown that maintaining or increasing muscular strength and endurance throughout the lifespan is important for preventing disease, maintaining health and preserving the ability to perform normal life activities. While free weights and machines can certainly make your clients stronger, they often target muscles rather than movement. In addition, many free-weight and machine exercises, such as lat pull-downs and biceps curls, are open-chain exercises, which use only one joint as the resistance is moved away from or toward the body using freely movable limbs. In contrast, most body-weight training exercises are closed-chain exercises, which use multiple joints as the resistance is moved away from or toward an anchored body part. Closed-chain exercises, which are more functional, result in greater motor unit activation and synchronization and better strength performance compared with open-chain exercises (Augustsson et al. 1998; Brindle et al. 2002). By performing body-weight training exercises, your clients will not only look better; they will also learn how to train three-dimensional movement, acquire a greater kinesthetic awareness and become empowered as they perform tasks with their bodies. Moreover, body-weight exercises make your clients’ workouts portable, an added benefit for people who travel a lot or for those who have trouble motivating themselves to go to the gym. Training is the same for the first 2 weeks of each 3-week cycle, with the third week used for recovery and adaptation. Have your clients do these workouts 2-3 times per week. As clients progress, initially increase volume (# of reps with body weight), then decrease volume and increase intensity (by adding additional weight) and recovery period. Choose two exercises each workout from traditional crunches, V-sits, stability ball crunches, reverse crunches, twist crunches and medicine ball crunches: 2 x 20 reps for each, with 1-minute rest. Same as above, using 66% of # of reps from weeks 1 and 2 for each exercise. Choose two exercises each workout from traditional crunches, V-sits, stability ball crunches, reverse crunches, twist crunches and medicine ball crunches: 2 x 30 reps for each, with 1-minute rest. Same as above, using 66% of # of reps from weeks 4 and 5 for each exercise. Choose two exercises each workout from traditional crunches, V-sits, stability ball crunches, reverse crunches, twist crunches and medicine ball crunches: 2 x 20 reps with 105%–110% of body weight for each, with 90-second rest.